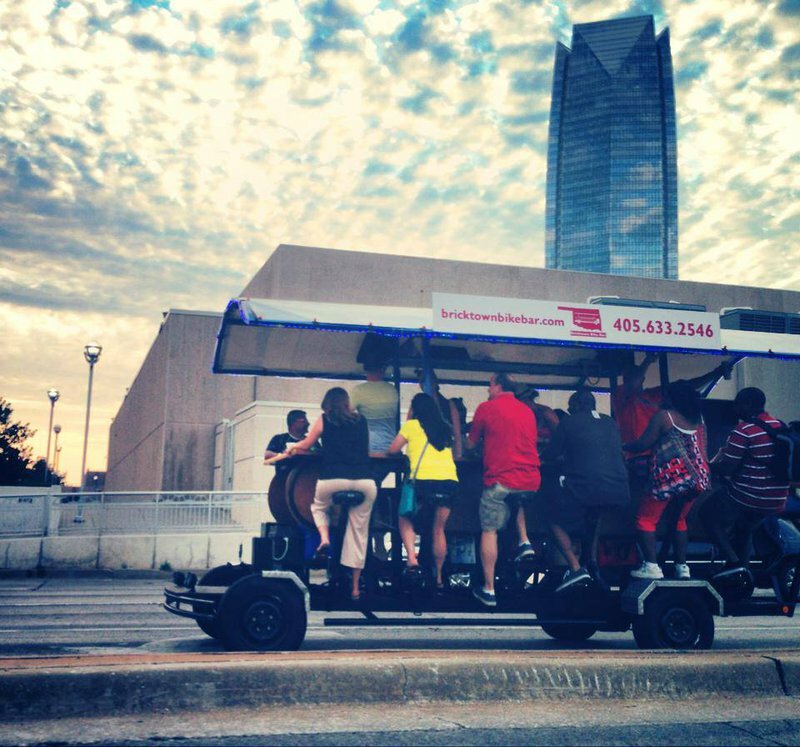 Bricktown Bike Bar is a pedal-powered vehicle that can be rented to tour Oklahoma City in style. 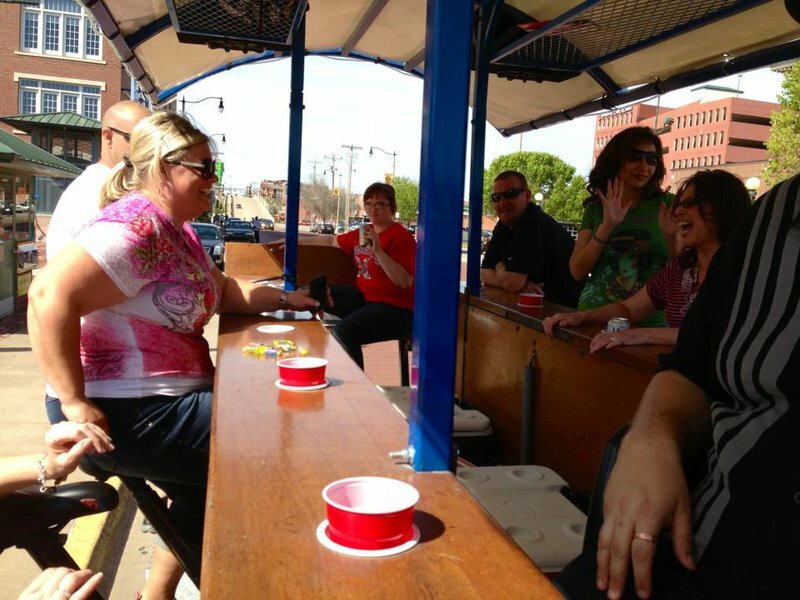 Renters bring their own beverages and bar snacks and up to 15 friends to take the bike bar through Bricktown for two hours or more. 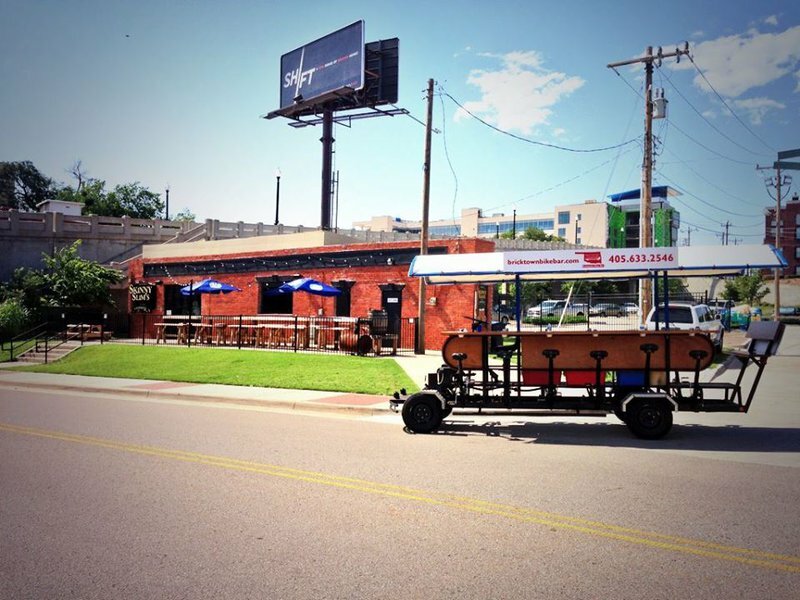 Stock the bike bar with beer and wine and you and your friends will power the trolley-style vehicle through the streets of Bricktown. The bike bar comes with a party facilitator who will guide you through the area and allow you to make bar stops if you wish. Passengers under 21 years of age can be accommodated if no alcohol is on board. Tours must be reserved in advance and are available daily at 12:30pm, 3pm, 5:30pm, 8pm and 10:15pm. Friday and Saturday tours: $320.00 While every effort has been made to ensure the accuracy of the pricing listed above, prices are subject to change without notice. 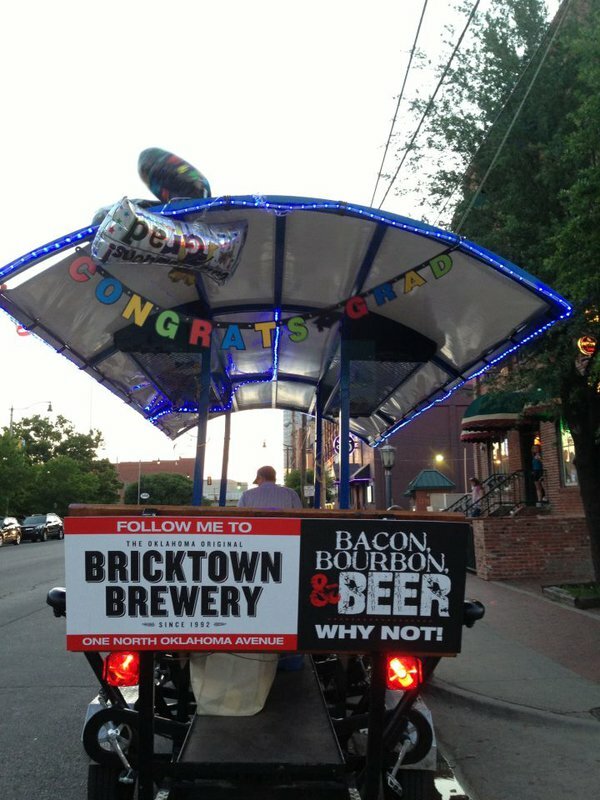 Rides on the Bricktown Bike Bar begin and end at Bricktown Brewery.